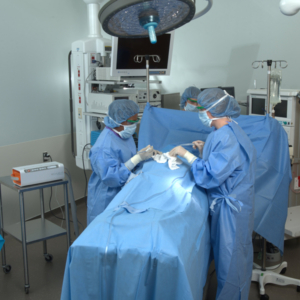 Dabir Surgical System | Dabir Surfaces, Inc.
During the course of care, a patient may spend hours on the operating table. The Dabir Surgical System is designed for the operating room to provide tissue offloading capability, is clinically demonstrated to reduce pressure injuries and is well accepted by the surgical team. Our systems are easy to use allowing you to focus on the things that are important during the procedure. The low profile Dabir surface inflates to 1-inch and minimizes patient movement even in challenging cases. In a clinical study of neurosurgery cases, the Dabir surface was shown to reduce pressure injuries from 6% to 0% while in Head and Neck cases pressure injuries decreased from 3 cases in the preceding 12 months to zero cases in the following 12 months.